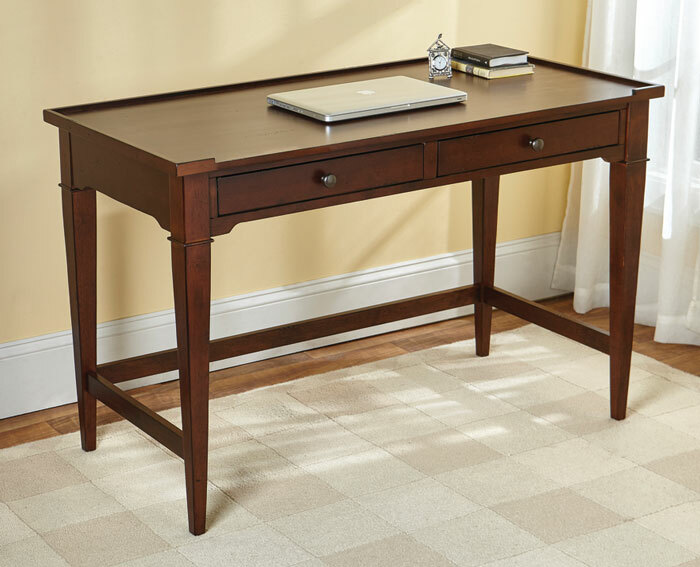 Our classic desk has two handy drawers that keep work materials at hand. It is crafted of Asian hardwood with a cherry finish that is distressed. 48”W x 24”D x 31.25”H; 53 lbs.